Home / SkinCare / Wikaniko Moringa Oil - Highly Beneficial Skin Beauty Oil. 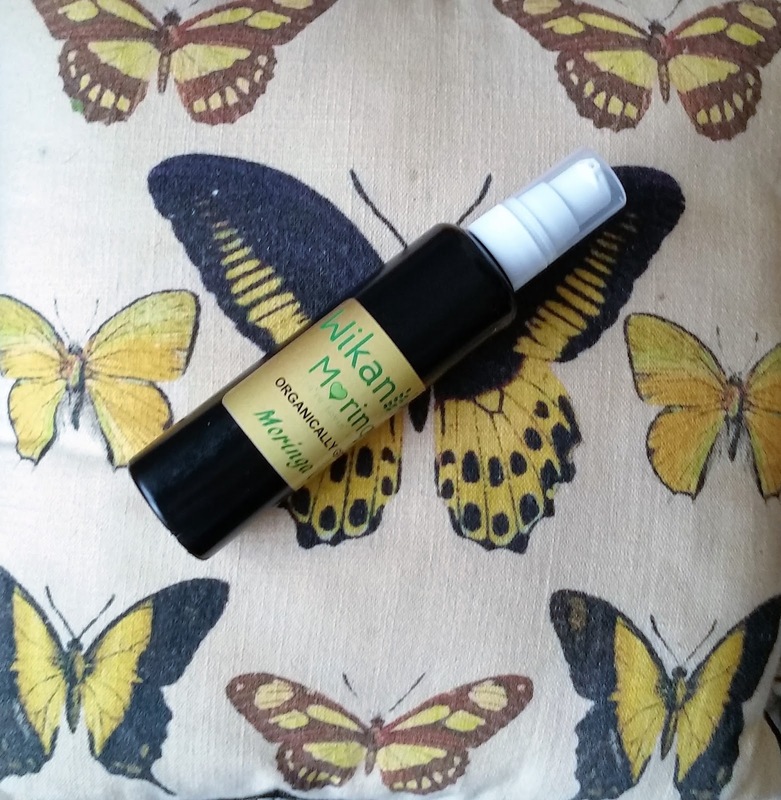 Wikaniko Moringa Oil - Highly Beneficial Skin Beauty Oil. Moringa Oil is reputed to be the best anti-ageing oil in the world, which possessing moisturising, antibacterial, antioxidant, anti-inflammatory and nourishing properties. It is an incredibly stable oil and does not go rancid for years. This is due to its high levels of antioxidants and inherent antiseptic qualities. Moringa is perfect as a nutritive oil for anti-ageing, smoothing the skin, hydrating and moisturising. It's cleansing and refreshing qualities gently remove unseen dirt leaving the skin fresh looking. Use it as a cleanser or as a night oil to treat tired skin. Flavonoids as well as phytosterols present in the oil work in combination to help lower inflammation and impressive vitamin and mineral profile makes Moringa oil perfect for your skin care routine. Most women and men simply won't use anything else to protect against the ravages of ageing after trying Moringa oil! Wikaniko Moringa oil is extracted from this season’s fresh harvest of seeds to retain quality, potency and efficacy. Wikaniko's Moringa is obtained from a totally verifiable accredited source, so you can be assured of the quality and each 100ml bottle of this precious oil is extracted by hand press from approximately 1.2 kilos of Moringa seeds! 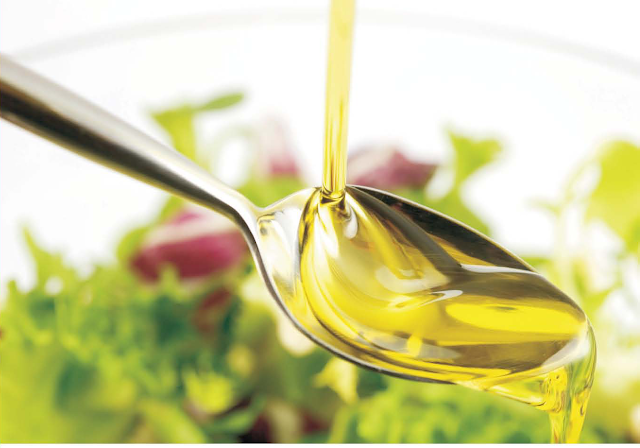 Moringa oil rejuvenates dull, tired and ageing skin. Moringa oil helps promote cell growth and delay damage and destruction of skin tissues. Moringa oil has antiseptic and anti-inflammatory properties and has been used to treat and heal minor skin abrasions; minor cuts and scrapes, bruises, burns, insect bites, rashes, and sunburn and skin infections. Moringa oil is great on babies and children too. Helps minimise dark spots from acne and hyperpigmentation. Moringa oil has nourishing and emollient properties giving it benefits for use in skin and hair care products. 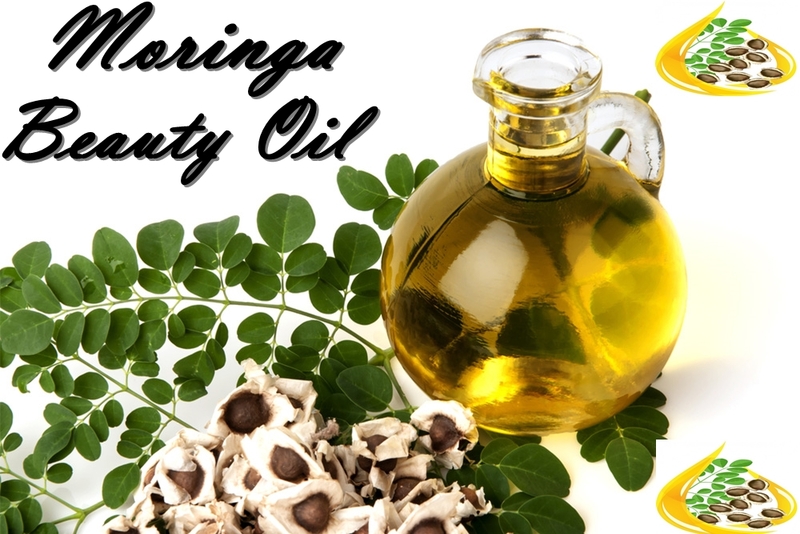 Moringa oil is useful in lifting dirt out of the hair and is an efficient natural cleanser. By simply wetting the hair, massaging the oil into the scalp and rinsing can effectively clean and moisturise the scalp. Always Purchase Moringa Oil From A Reputable & Verifiable Source. Moringa is normally grown in the Far East or in tropical/sub-tropical climates. If the Moringa is imported say from China it could be full of contaminants from pollution caused by massive over-industrialisation (well documented). If the Moringa is imported from countries like India and Africa it could come from places where there is no sanitation, no running water, no electricity and no hygiene. Indeed, some people have stated that they have purchased Moringa products imported from those countries (for example dried leaves for tea) which actually contained cigarette ends, dead insects etc. You can find various videos on the Internet showing the Moringa being harvested, then washed in dirty bowls of water, on dirty floors and with livestock walking around. Furthermore some exporters grind up the dead leaves and nutritionally devoid stalks, to bulk out the products and get a better price. For them every penny counts even though the workers could be getting paid poor wages and as such are not too particular about hygiene. While there are some great companies that import good quality Moringa from these countries and they take great care over the ethical production, you cannot be sure where the Moringa originates from, how it is produced, or what has been turned into powder etc. It is important that you can verify the provenance, or you could be wasting your money and getting no benefit from the product whatsoever. If you are offered cheap Moringa refuse it without hesitation. Wikaniko produce their own Moringa on their farm in Spain. The whole process is overseen and inspected by the company owners. Its distributors are welcome to visit the farm at any time to verify the process is meticulously carried out from start to finish. Only the fresh green leaves are used in the products. Wikaniko's Moringa is organically grown. No fertilisers or pesticides whatsoever are used in growing the trees. The process of turning the leaves into powder is carried out by hand, using clean osmosis treated water to wash the vegetation. The leaves are then stripped from the stalks by hand to ensure no contamination by machines (oil, fumes. grease, diesel). The leaves are then ( leaves only) are air dried naturally for a short while before being placed in dehydrators to kill off any remaining pathogens before being turned into powder. In total the time from farm to fulfilment is less then 8 hours. Each batch of Moringa is analysed in an independent laboratory. The vegan capsules carry a certificate of Analysis (do not buy capsules from eBay or other similar online sources as you do not know what you are getting. Wikaniko's Moringa is available in a powder, capsule or oil form. Moringa oil is now being used in cosmetics because of its extraordinary anti-ageing properties and you will find that leading brands will only place a few drops in a pot of skin cream. Wikaniko's Moringa allows the consumer to experience the real thing, cold pressed oil to be used sparingly on your skin. Due to the amazing properties it harnesses its great for wrinkles, spots, acne, lines, blemishes and a whole lot more. The 100ml dark coloured bottle with pump application arrived and i couldn't wait to try the Moringa oil. I loved how this made my skin feel moisturised without feeling overly greasy, which is great for when u need to apply to your dry hands but still have tasks to complete during your day. You can introduce the Moringa into your skincare routine by either applying at night on its own after you have finished your cleansing and mask products for an over-night hydration boost. If your are going to incorporate any oil into your day routine you must remember any oil is the last step application before sunscreen. Serum is applied first followed by an eye cream and then u can apply your moisturiser of your choice. An oil can penetrate a moisturiser but a moisturiser can not penetrate an oil and this why all water based products are applied first followed by any oil products you may use. Applying an oil with a patting motion will seal all your moisturiser and other products into your skin and then u can apply your choice of SPF. 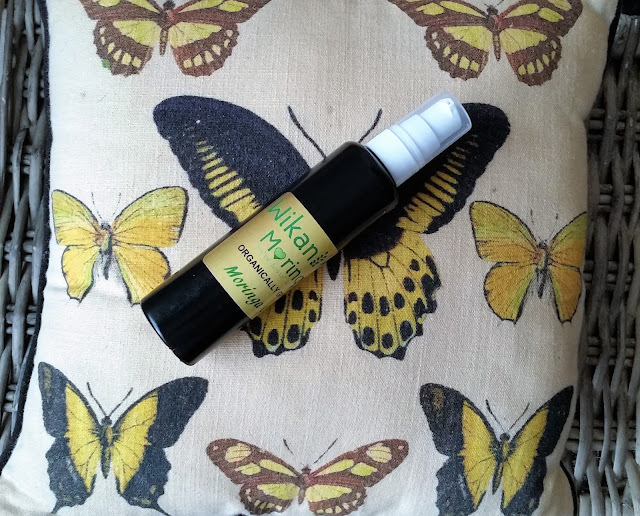 The Moringa oil helps your skin look naturally healthy which makes this a must have beauty oil to use and be included in anyone's skincare routine, wanting to experience and see the results for yourself? DISCOUNT AVAILABLE, until the end of April using the code: MOR10 To Purchase the Moringa Oil click here > Moringa Oil < . X Neil.